The Wisconsin Tennis Association recognizes and congratulates Pam Hammond, of Fond du Lac, as volunteer of the month. Pam has been a leader and driving force in the growth of adult leagues, junior leagues, USTA block parties and special events in Fond du Lac. Currently the president of the Fond du Lac Tennis Association, Pam has dedicated her time, skill and expertise to the expansion of programs and participation throughout the greater community. •	Captain of 3.5 teams in the Northeast League and Milwaukee and the 7.0 Northeast League. 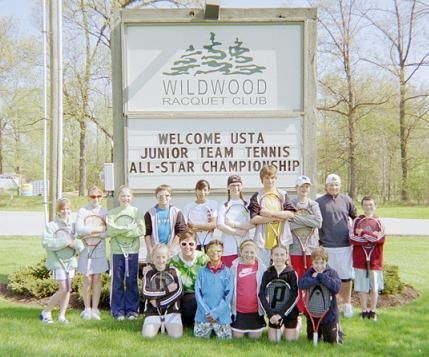 •	Help and support of Wisconsin projects including phone campaign to re-enlist players to USTA play and membership. •	Held a USTA Block Party with over 90 participants. •	Winner of the 2007 Stanley Malles Award for developing grass root tennis programs. •	Helped new coordinators build new programs. •	Brought USTA into the 9 public elementary schools, helping to introduce tennis into physical education programs. •	Tested over 3500 juniors for the Rapid Rally Junior Olympic Skills test, taking 16 players to regionals with 4 players placing in the top 10 in the nation. •	Built the Junior Team Tennis program in Fond du Lac, starting teams in Rally Ball, 12’s Intermediate and 14’s Intermediate. •	Developed a Northeast League for juniors with 25 teams in 4 divisions. •	Developed teams that travel every summer to play in Milwaukee as well as Appleton. •	Taken teams to the All-Stars in Fort Wayne and Indianapolis. •	Selected to participate in the National roll out of Rally ball, the precursor to QuickStart. Many thanks to Pam for being an inspiration, leader and example of tennis excellence in Wisconsin District.